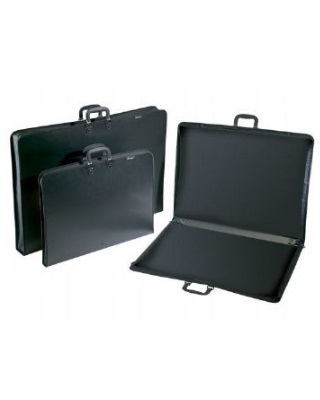 Select a Size Select a Size PC2026-3 - 20" x 26" PC2331-3 - 23" x 31" PC2436-3 - 24" x 36"
This zippered portfolio is constructed of durable, heavy-duty black polypropylene with stitched cloth edges for added durability. The molded plastic comfort handles are securely riveted in four places for added strength. 3" wide gusset.